Maps (in PDF format) of the original Adventure, drawn by Ed Wright, 1979-1980. Map (in GIF format) of Level 9's Adventure Quest. Map (in GUEmap format) for the German-language game "Das Amulett", by Matthias Oborski. Maps (in GUEmap format) of Anchorhead, by Adam J. Thornton. Map (in PNG format) of Michael S. Gentry's game Anchorhead (release 5), by Volker Blasius. Map of Andromeda Awakening - The Final Cut by the game's author, by Marco Innocenti. A map of Steve' Haddon's Inform 7 port of The Beast of Torrack Moor, prepared by Al. Non-spoiler "feelie" map for Nick Montfort's Book and Volume, created by Richard Bos. Spoiler map for Nick Montfort's Book and Volume, created by Richard Bos. Trizbort map of Cragne Manor (2018). Made available in the public domain by Dan Fabulich. A map of Ryan Veeder's Curse of the Garden Isle. Made available in the public domain by Dan Fabulich. Map (in GUEmap2 format) of daveMUD (on the Internet at zork.plover.net:4096). 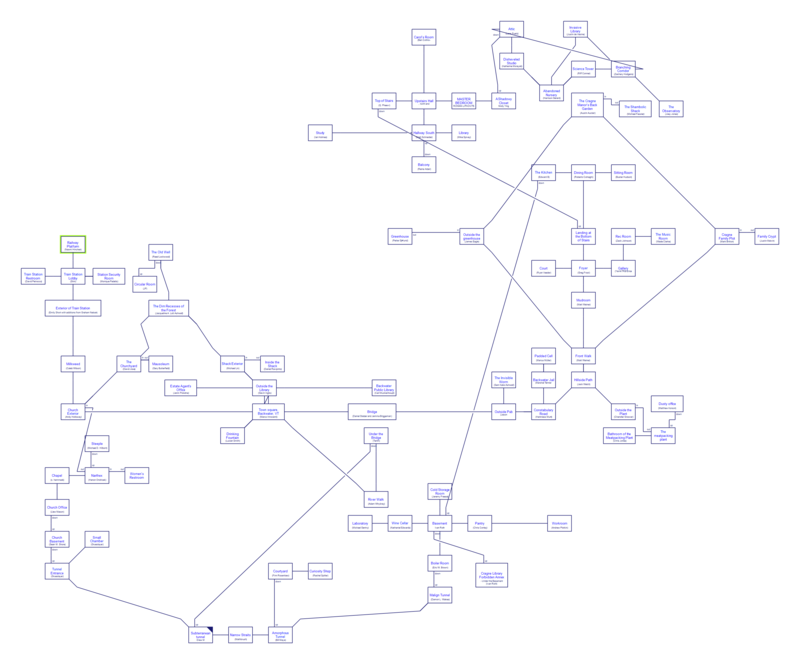 Source code for the Poscript maps of Ditch Day Drifter, created using Dia v0.83. Maps of Ditch Day Drifter in Poscript format, by Paul Munn. Description of the GUEmap format maps for Ditch Day Drifter, by Philip Swartzleonard. Map (in GUEmap format) of Ditch Day Drifter, by Philip Swartzleonard. This version of the map has been specially laid out for printing. Map (in GUEmap format) of Ditch Day Drifter, by Philip Swartzleonard. Scans of the maps from the Deep Space Drifter hint book, by Mike Roberts. 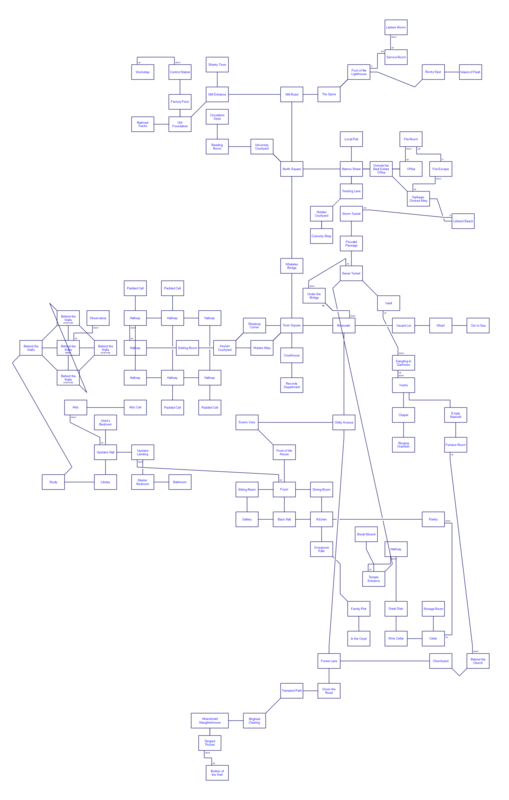 Maps (in GUEmap format) of Dungeon (aka the mainframe version of Zork), by Paul O'Brian. Maps of Fish! in GUEmap and PDF formats, by Sven Siggelkow. Maps of First Things First in two formats, GIF and PDF, by Al. Complete map of Jewel of Knowledge, by Al. Maps of Kingdom of Amphibia, by the game's author, Al. Map of Level 9's Lords of Time, by NiMuSi. 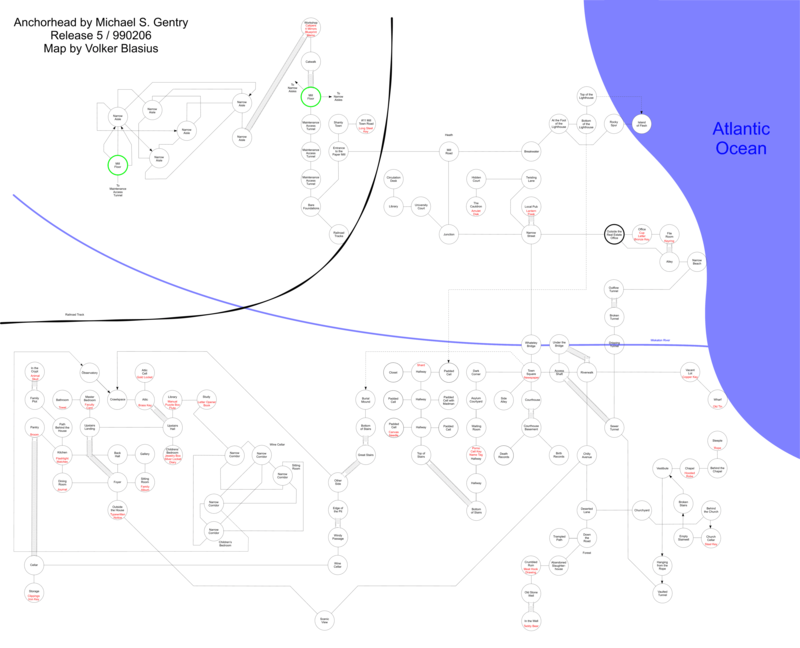 Map (in GUEmap format) of Sins Against Mimesis, by Adam J. Thornton. A map of Mulldoon Murders, prepared by Al. Maps (in GUEmap format) of Once And Future, by Paul O'Brian. Map (in GUEmap format) for the German-language game "Oskar und der Tod", by Matthias Oborski. Maps for Mrs. Peppers Nasty Secret, prepared by Al. Map (in GUEmap format) for Planetfall, by Rob Schultz. A map of Reefer Island, by Greg Boettcher. A map (in PDF format) for Emily Short's Savoir-Faire, prepared by Christian Johnson. A map (in Trizbort format) for Emily Short's Savoir-Faire, prepared by Christian Johnson. Map of Speculative Fiction, release 1, by the game's authors, Diane Christoforo and Thomas Mack. A complete set of maps for D.S. Yu's Spiritwrak, prepared by Marco Cavagna. A map of Splashdown, by Al. Map (in GUEmap format) for the BBC micro game "Time Adventure", by David Lodge. Map (in GUEmap format) of Unnkulian One-Half v1.0G, by Andrew Barnert. 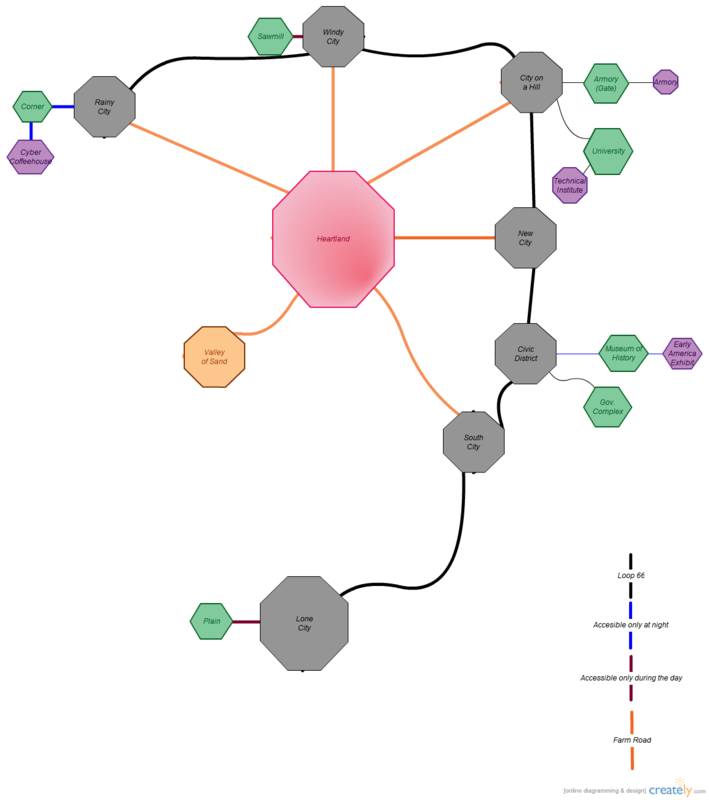 Map (in GUEmap format) of Unnkulia Zero: The Search for Amanda v1.0G, by Andrew Barnert. Map (in GUEmap format) of The Unknown Unventure v3.0.1G, by Andrew Barnert. Map (in GUEmap format) of Unnkulian Unventure II: The Secret of Acme, by Andrew Barnert. Anonymous map of Varicella, in JPEG format. A partial map of Union City from Winchester's Nightmare, drawn by Nicholas Gowan. A map of the first continent from Westfront PC: The Trials of Guilder, in Excel format. By Ben Oakham. Map (in GUEmap format) for the German-language game "Die Zeitreise", by Matthias Oborski. Maps (in GUEmap format) for Zork 1 (the main underground section, the area around the house and the maze), Zork 2 and Zork 3 (the Great Underground Empire and the Royal Puzzle), by Matthias Oborski. A map (in GUEmap format) for Zork: The Undiscovered Underground, by Julian Fleetwood.